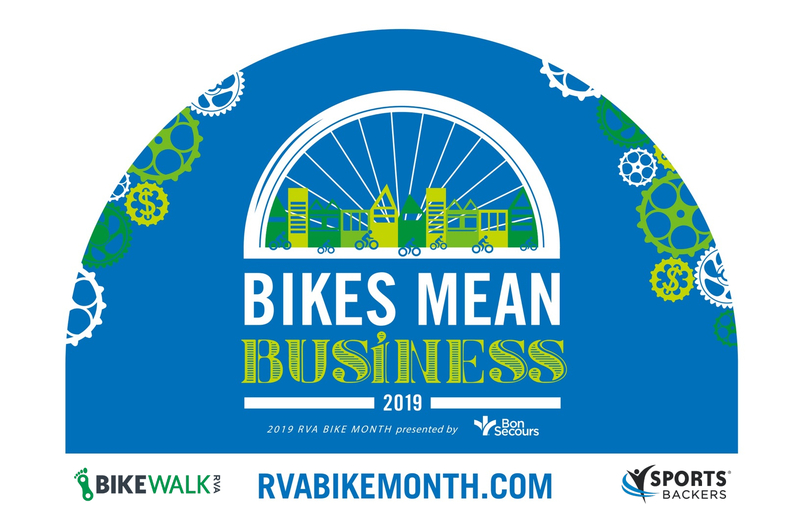 RVA Bike Month 2019: Bikes Mean Business. 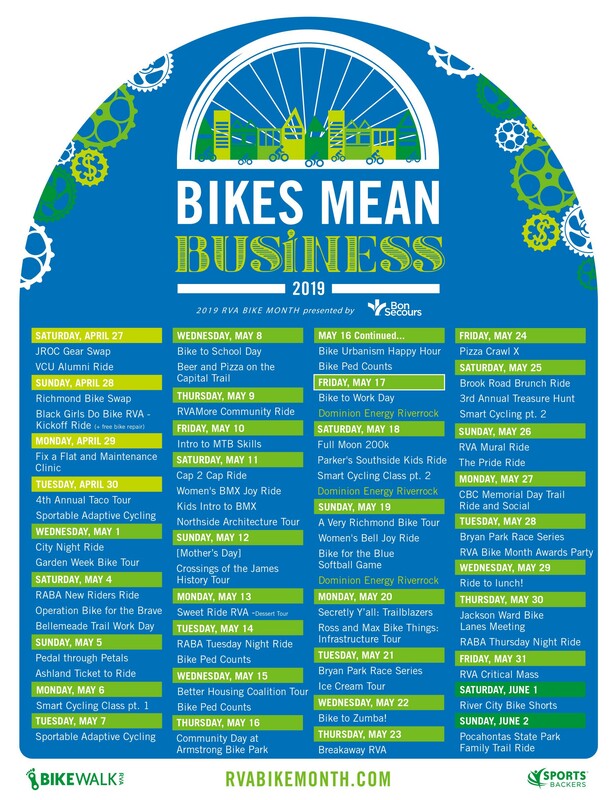 The 6th Annual RVA Bike Month, presented by Bon Secours, is back! Here’s what to do. 1) Get your bike ready! Some of our events have free bike repair to get ready to go for the beginning of bike season. 3) Take fun pics and tag #rvabikemonth for a chance to win a prize! 4) Bike to Work! Join your coworkers in our online bike commute challenge at strava.com/clubs/rvabikemonth19, and come to Bike to Work Day! 5) Explore, patronize, and tag local businesses! Show them some love and thank them for supporting your ride. 6) Try something new! Seek out a new bike lane. Find some new riding friends. Explore an unfamiliar part of the region. 7) Tag @bikewalkrva on Facebook, Twitter, Instagram. Pizza Crawl X – pre-registration required!